Let’s be real, the nitty-gritty finances of your business can be tiresome at a minimum and annoying to frustrating at their worst. However, any Kelowna bookkeeper will tell you that they are absolutely crucial to maintaining a good business, and, done right, can even be the place you find “bonus” funds you can use to help grow your business further. It’s also incredibly important to do right in the event you are audited (let’s hope that never happens, but you should always be prepared). Still not convinced? Let’s break down the main reasons why you should definitely make bookkeeping and bookkeeping systems a top priority. Just saying the word “audit” to many small business owners can turn them from calm to stressed in an instant. The last thing you want your business to be dealing with is problems that can arise from misplaced, or mishandled, financial records that could put you out of a job, or worse, behind bars. Properly keeping tabs on your bookkeeping and filing reports away correctly can make this process much easier. It also means you can get back to work faster and get back to finishing those tasks on your to-do list. Let’s say you’re not convinced on using a financial system to work on invoices or send financial invoices to suppliers. If, at any point, your workflow for those breaks, so does your payments to your company. And that means money that you have to find and hunt people down to get them to pay. Having financial systems in place for organization make it easy to manage your invoices and make sure you’re getting paid the right amount for the work you’ve done. Growing a business comes with numerous challenges, and it’s important to deal with those as quickly as possible to grow at a steady pace. From hiring new employees to investing in better office equipment, to even buying a new workspace, these are all obstacles that need to be handled well in order to keep expanding. Without proper bookkeeping or financial systems, you can end up having the wrong idea about how much funds you can allocate toward doing so. Worse, you can end up with debt that can set you back on your plans, losing valuable time you could’ve used for expanding. Accurate financial records and reports means you can make the right decisions, at the right time, for your company. If your business has grown to the point where people have started investing in your company, first off, congratulations! However, now you have a responsibility to those people to provide accurate and inclusive info about your business, and therefore, your company’s financial records. With proper bookkeeping, and using the right financial systems, you can ensure you’re always providing a clear picture of the transactions going on within your company. That way, you can always give your investor(s), and future investors, peace of mind. Breaking the law is never a good idea especially when it comes to running a business (unless you’re in an action film, and you’re a rogue spy on the run trying to save the world, in which case you should watch your back). 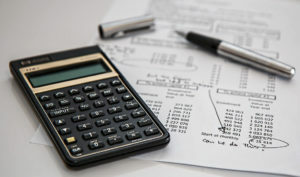 But you may be surprised, although hopefully not, that keeping accurate, organized, financial records is required by law since those are the basis of how your tax forms are calculated. And anyone who has run a business for a few years, knows how unrelenting and strict CRA are about deadlines and accurate completion of tax forms. In any case, it’s in your best interest to keep those financial forms accurate and organized for all the reasons mentioned above and keeping that criminal record nonexistent. Hopefully you’ve realized the importance of bookkeeping and financial systems at this point. Not only do they help you make your business better, they are required by law to be accurate in the event you are audited. If all of this has you worried, don’t fret! Kindret Solutions can help you with both setting up and managing bookkeeping systems, and ongoing tracking of your books to keep your business chugging along smoothly.